This hand vac provides consumers with everything they need in a hand vac, plus long battery life, year after year. The CHV1410L features great power and suction for use on everything from carpet to ceramic tile to furniture and more. The cyclonic action spins dust and debris away from the filter keeping suction strong. It delivers powerful suction where users need it most. The 16V Lithium hand vac boasts an innovative, lightweight shape, allowing users to take advantage of a rotating slim nozzle design combined with a built-in extension crevice feature. 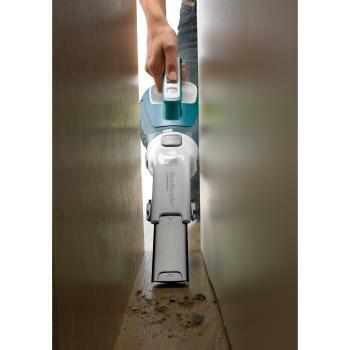 The slim nozzle provides 50 percent greater reach than previous Black & Decker models, ideal for those hard-to-access areas and tight spots. 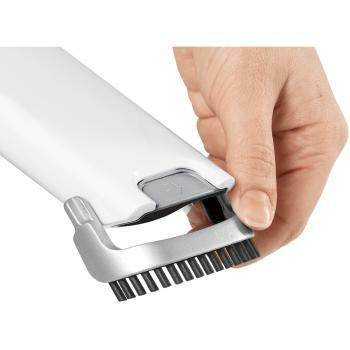 The wide mouth design scoops up large debris and simply flip up the brush to clean upholstery or extend the crevice to access tight spaces. This unit also has a quick charging base that keeps the unit charged and the accessories organized. 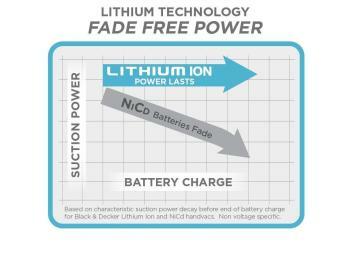 Other types of batteries fade and lose suction, making it difficult for users to complete their cleaning task before running out of power Instead, Lithium Ion batteries offer strong suction and fade-free power throughout their use. Users will now have the confidence that they can complete tasks quickly, efiiciently, and conveniently with this new Hand Vac. 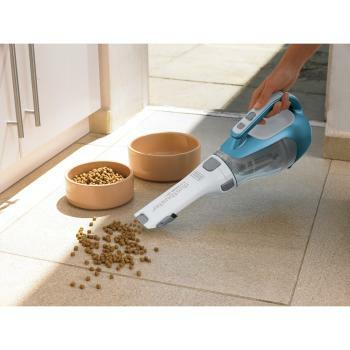 Other added convenient features of this Dustbuster include the easy-to-clean-and-empty bowl, and the machine washable filter. 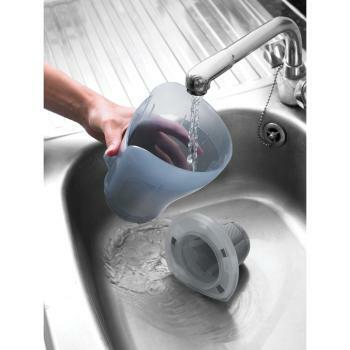 For a more thorough clean, simply remove the entire bowl from the unit and wash it in your sink. 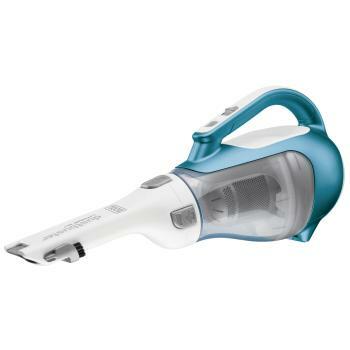 This unit includes: (1) Hand Vac, (1) Washable pre-filter, (1) Washable filter - VF110, (1) On Board Crevice Tool, (1) On Board Brush, and (1) Charging Base.